This week delivered another piece on the non-value of breast cancer screening by mammography. The report, published in the British Medical Journal (BMJ), would be minor except that it may add to the growing heap of erroneous data on the topic. Disclosure: I’m a board-certified oncologist, I’ve had breast cancer and this issue matters to me more than it otherwise might. I’m biased, yes for sure. It’s also true that my position is particularly informed. What the authors tried to do was analyze trends in breast cancer mortality in relation to mammography’s availability in distinct regions of Denmark over several decades. Using Poisson regression, a form of statistical analysis, they looked for a correlation and found none. They concluded that they couldn’t detect a benefit of screening mammograms among Danish women who might benefit (see below). 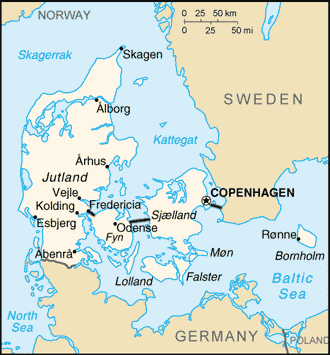 The problem is that Copenhagen is Denmark’s capital and Funen, the other main “screened” region, contains Odense, the country’s third largest city. It’s not reasonable to compare changes in breast cancer survival, with or without screening, between women living in mainly urban and mainly rural areas, as these regions can differ at baseline in education, diet, alcohol use, cigarette use, pollution levels and other potentially confounding variables. 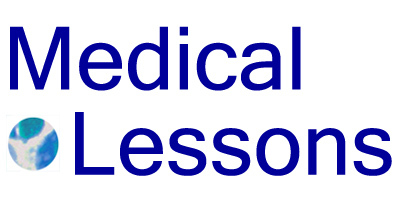 Also, the quality of medical care in itself can vary between urban and rural districts. Differences in availability of primary care, surgical and other supportive services can influence survival trends independently of breast cancer screening. 2. For purposes of their study, the authors split the Danish women into three age brackets: aged 35-54, “women who were too young to benefit from screening”; aged 55- 74, “women who could benefit from screening”; and 75 – 84, “older age groups.” This assumption, that women under the age of 55 can’t benefit from mammography, introduces circular reasoning into the study, right from the start. I’m not sure why the BMJ published this paper. I’m concerned, really, that it’s agenda-driven work. The authors state, up front, that their findings contradict those of 2005 report drawn from a distinct but overlapping data set, that mammography was associated with a 25% reduction in breast cancer deaths in Denmark. …We also note that in the age group too young to have benefited from screening, women experienced proportionately larger reductions in breast cancer mortality after screening was introduced than did those that could have benefited from screening. This non-logic reflects the investigators’ erroneous presumption that there cannot be an advantage in women aged 35 – 55. You can go ahead and examine this paper directly if you like. A true advantage of the BMJ is its open-access; it provides full text freely upon registration. My take-home message: this flawed publication should not be used to support the contention that breast cancer screening by mammography is ineffective. Nor does it elucidate much about what’s happening with mammograms and breast cancer survival trends in Denmark. What it does reveal, if anything, is how different researchers using similar but non-identical data sets can come up with conflicting results if they want to. Finally, I’ll remind my readers that the mortality rate among women with breast cancer has declined dramatically in the U.S. since 1990 and in Copenhagen, when mammography became prevalent in those places. The studies published in November, 2009 in the Annals of Internal Medicine, on which the new U.S. Preventive Services Task Force recommendations were based, are limited by reasons I’ve outlined here and elsewhere. Addendum (3/28/08) : typo correction, some links and map added on March 28 by ES. Regret: I wish I could find a better public domain map source. Request: if any readers happen to know something about Danish epidemiology, and how Copenhagen and Funen counties do or don’t differ from the rest of Denmark, please chime in!